Yang told MSNBC's Chris Hayes last week that his plan "would make children and families stronger, would improve our health, nutrition, graduation rates," as well as "help millions of Americans make transitions in this time of historic change." Ioana Marinescu, a professor at the University of Pennsylvania's Wharton School of Business, and Damon Jones, a professor at the University of Chicago Booth School of Business, studied the effects of the fund on the Alaskan labor market by comparing trends in the state with similar states like Wyoming and Utah. Max Kasy, a Harvard Business School professor who told NBC News he is "pro the introduction of a UBI" nationally, said the big question is how to pay for it. 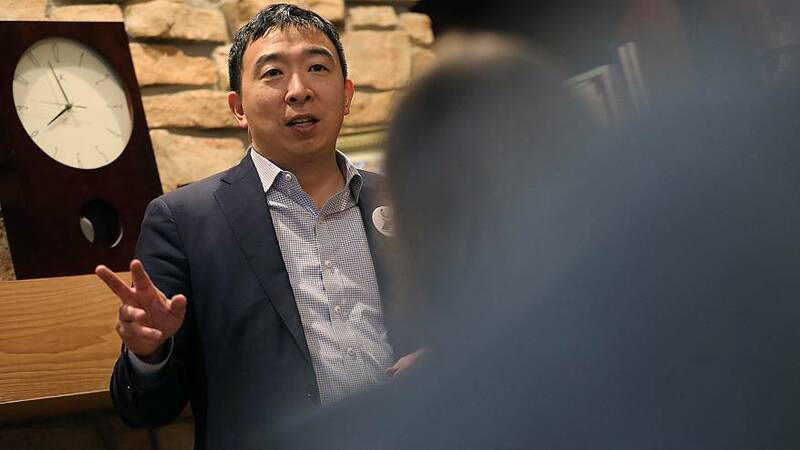 Alaska's fund is backed by the state's oil riches, while Yang proposes funding his UBI plan with a 10 percent value-added tax, a carbon tax and reconfiguring some existing social welfare programs.